Rowe presents Inside The World's Toughest Prisons, which will be shown on Netflix from Friday, July 6, in which he visited four jails in Brazil, Belize, Papua New Guinea and Ukraine. "I spent most of my time in prison in single cells in England. But in the prisons I visited they were all dormitories. The conditions were appalling. It was far more volatile, far more on edge and more dangerous than a British prison," Rowe told Sputnik. "Porto Velho prison in Brazil was run by gangs. A kingpin runs every prison. In Brazil there have been numerous riots. The threat was always there. There was no guarantee that the guards could ensure our safety," Rowe told Sputnik. He said Porto Velho was a "tinderbox" and there had been "bloodbath" riots where people had had their heads chopped off or their hearts cut out in "barbaric" ways by the two rival gangs — the Red Command and the PCC (Primeiro Comando da Capital) — which are at war across Brazil. Rowe was uniquely qualified to present the series. "I was arrested, charged and convicted of a murder that I didn't commit and I spent 12 years in prison before I was released in 1988," Rowe told Sputnik reporter Chris Summers, who actually visited him in a British jail back in 1999, a year before his conviction for the murder was finally quashed. Rowe, who became known as one of the "M25 Three", was wrongly convicted of murdering Peter Hurburgh; a 57-year-old gay hairdresser died of a heart attack after being beaten and doused with petrol by a gang who discovered him in a field close to the M25 motorway in Surrey with his 20-year-old lover. He said he found inmates in Brazil, Papua New Guinea and Ukraine who said they were innocent and had been "fitted up" by the authorities but he said the worst cases were in Belize. "I can't say whether they were innocent or guilty but the criminal justice system in Belize is atrocious. People regularly spent five or ten years in prison awaiting trial and are then acquitted," Rowe told Sputnik. But one man who is most definitely guilty is Serhiy Tkach, a serial killer who Rowe came face to face with in a Ukrainian jail. "It was the most chilling interview I have done in my life," said Rowe, who became a journalist not long after coming out of prison in 2000. "He is serving a life sentence for killing 38 women and children and he is also a necrophiliac. He was suspected of killing over 100. I was taken into a Hannibal Lecter-style cage where I met him. He looked like a grandfather but he was cold and matter-of-fact and answered all my questions," Rowe told Sputnik. 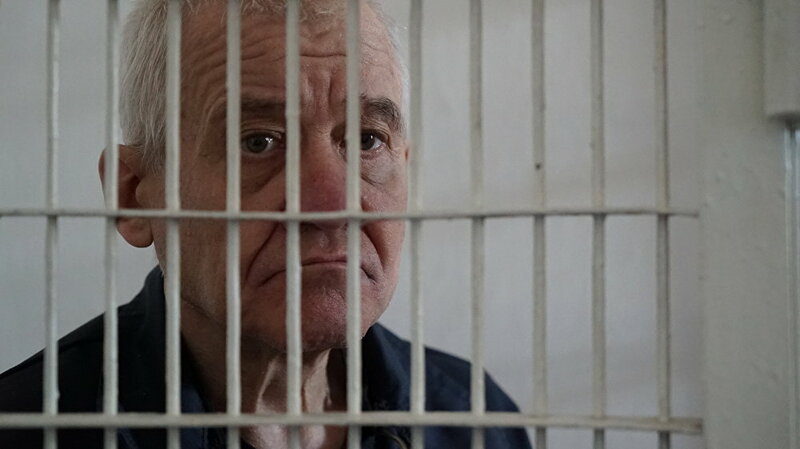 He said he later met Tkach and his 26-year-old wife, Elena, in the conjugal cell they were locked in together for three days in the prison. "It was testament to the journey we went on. We went to look at the unique way different countries treat their prisoners and the attitude they have to measuring public security with human rights. In the Ukraine prisoners are allowed conjugal visits. I asked them how they could allow a man like that to have conjugal visits. How could they allow a man who you know has committed horrific crimes to spend twop nights and three days locked in a cell with a woman who might never come out alive and their example was very simple ‘it's the law' and it is an entitlement that he and all other prisoners are entitled to no matter what are the crimes they committed," Rowe told Sputnik. Rowe said he got on well with most of the inmates he met in all four countries, because they recognized he had spent time in prison and did not show any fear. "If you show fear it makes you vulnerable and prisoners will exploit that. It required a lot of my inner strength. I knew prisons and I know prisoners," Rowe told Sputnik. One of the hairiest moments was in Bomana prison in Papua New Guinea. "I was sat down locked in a cell dormitory with about 50 other guys and I was interviewing a Death Row prisoner who was in for the murder of a witch and during that interview a fight broke out in the cell complex and this Death Row prisoner just coolly walked over to where the fight had broken out and he just stopped it dead. It was a bit on edge for us. Something like that can easily spill out into a full-blown riot. But we didn't realize the power he had among other prisoners," Rowe told Sputnik.